Mallorca is a very diversified island in the mediterranean sea. Balearic cuisine is very good if you are on the island and don’t want to go to eat to one of these thousands touristic restaurants at the beach you better go and check out these traditional spanish restaurants. A small restaurant in Alaró about 3-4 km away from civilization is situation underneath the castle of Alaró. The Castle is an ancient fortification from the Moors. The mountain offers beautiful views over Mallorca as far as Palma and Alcudia bays and the Tramuntana mountain range. I would recommend to walk up the castle and then stop at es Verger on the way back. Es Verger is known for offering the best lamb on the island. Definitely a must try. The house wine is also very good and very cheap, only 6 € the bottle! This is a really great restaurant for everyone who enjoys a really good view. The way to the restaurant is difficult and you can only get there with your own car but it’s worth it. 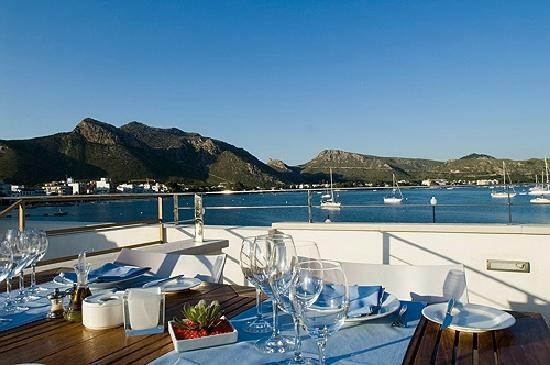 You have a beautiful view over the bay of Pollença and the sunsets up there are marvelous. The food is also very good. Typical mallorcan food with great meat and fish dishes. This restaurant situated in the middle of the harbor with a great view over the beaches and the harbor is known for its excellent fish. For people who don’t like fish they also have some traditional majorcan meat dishes like lamb. Makes we want to pack my bags and come to Mallorca! Shame on me! I have never been to any of the places and I live in Majorca! I will try and check them all after your recommendations, since I love discovering new places on my island. Cheers! Love the first shot…haven’t eaten at the restaurant but have ridden my bicycle over those mountain ranges. Gorgeous scenery! Actually, haven’t tried any of the restaurants you have mentioned…any excuse to go back – I’ll take it! They all sound delish! It has been almost a year since my last visit….time to think about going back! There also is a very good restaurant in Valdemossa. Unfortunately I gorgot the name. It is a bit off of the tourist restaurants at the main road, I just got a pic of it’s entrance…. or a little above the entrance 😉 I know it’s hard to find it like this, but maybe you recognize when you are there…. here you are: http://1.bp.blogspot.com/-wyOiFu9zS-E/Tp_9KRuiXNI/AAAAAAAAAj0/O1Vr3J_zwdE/s1600/DSC01025.jpg good luck and enjoy your meal! 9 years on the island and I still don´t know all of these places. Shocking. But that´s Mallorca! You think you know it all, but then you discover something new! 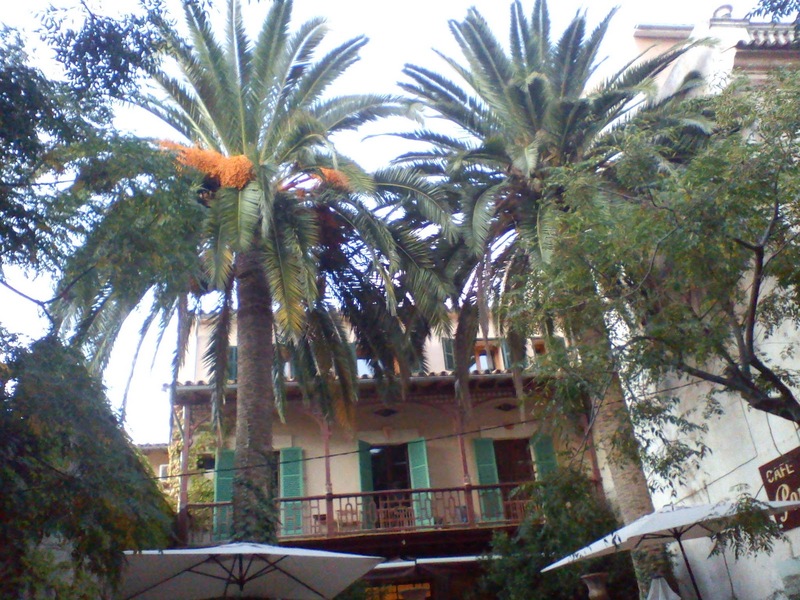 Once I was there, and I ate the food of 2nd restaurant that you have mentioned “Es Guix in Lluc”. the food was very delicious and the outside view of restaurant is also adorable. thanks for this amazing post.